After a shocking 2018 World Cup opening round defeat to Mexico, Germany gets a shot at redemption against Sweden. Will the defending World Cup champions follow Brazils lead in righting the ship after a rough start, or will Germany keep company with Argentina — its 2014 World Cup final opponent — in needing help in the third round of group stage games in order to advance? While Sweden could pose a challenge to Germany, the team might be shorthanded due to illness and injury. 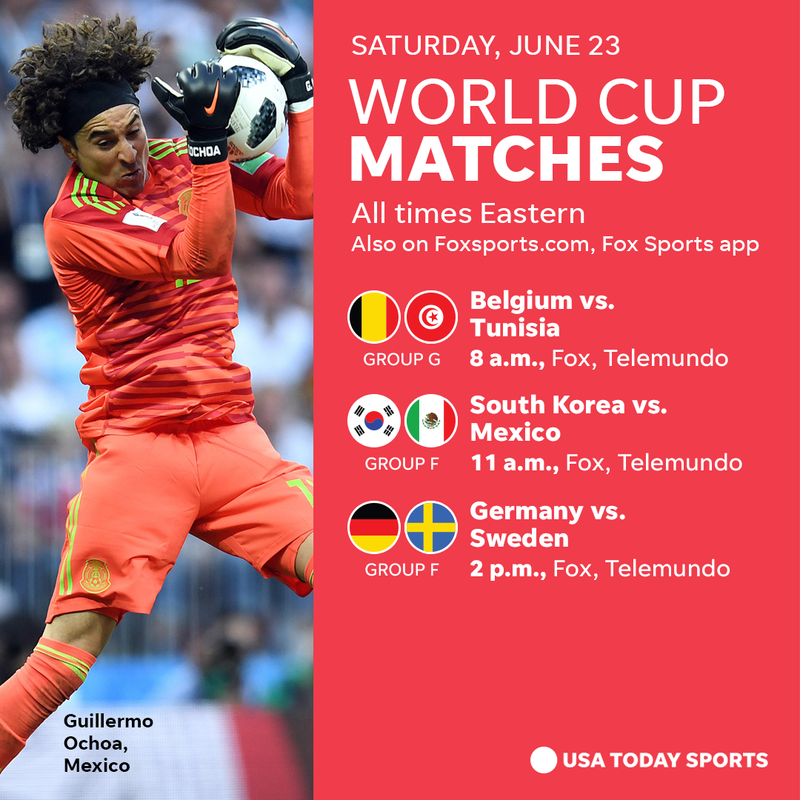 Mexico — which is riding a wave of momentum after Sundays huge upset —-- will look to avoid the dreaded letdown game when it takes on South Korea. 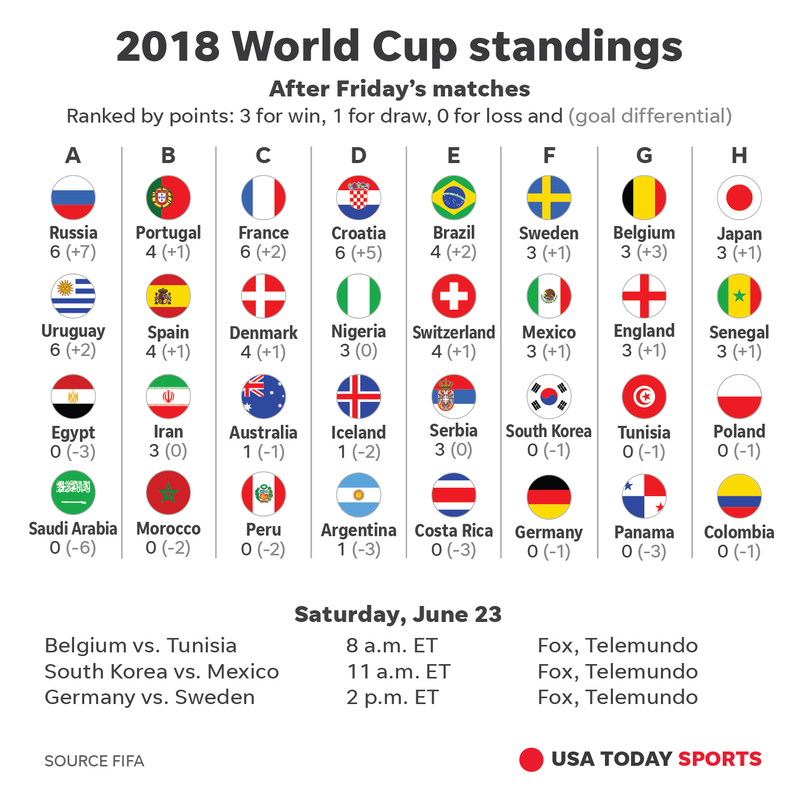 Belgium, which is one of the rare top-rated teams with an emphatic opening-round victory, helps kick off Saturdays play against Tunisia.